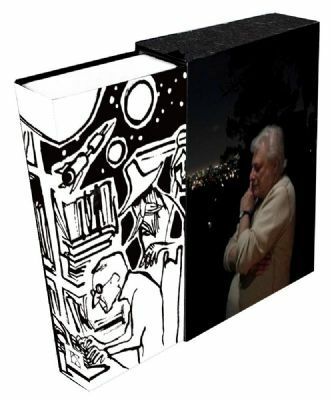 Editor Preston Grassmann has revealed the table for contents for The Unquiet Dreamer: A Tribute to Harlan Ellison, an anthology forthcoming from PS Publishing in August 2019. It was sometime in the mid-nineties at Dangerous Visions Bookstore in Sherman Oaks, when a seismic shift altered the foundations of the room. It wasn’t the Northridge quake, but it was certainly a force of nature—in walked Harlan. As the years passed, I went on to write for Nature Magazine and became a contributing editor at Locus, and the dream kind of fell by the wayside, but Harlan never let me forget. And though I wish Harlan could see it, the dream is finally here—a book full of memories and love—thirty-three international contributors who have joined together to celebrate his life. It’s strong and strange in ways I never expected, full of inspired ideas, anecdotes and stories of Harlan. Of course, to include everyone influenced by Harlan and the work he celebrated would more than fill The Lost Aztec Temple of Mars. There will be a signed slipcased jacketed hardcover edition, and a hardcover jacketed edition, both with with art by Yoshika Nagata. Preston Grassmann was born in California and educated at U.C. Berkeley. He began working for Locus in 1998, returning as a contributing editor after a hiatus in Egypt and the UK. His most recent work has been published in Nature Magazine, Shoreline of Infinity, and “Futures 2” (Tor). He is a regular contributor to Nature and writes a feature for Locus called “The Cosmic Village”. He currently lives in Japan. This entry was posted in Like Show Business and tagged Harlan Ellison, Preston Grassmann by Mike Glyer. Bookmark the permalink.